St. Francis de Sales School has served the Manistique community for over 100 years and the SFDS Alumni Association wants to continue that long dedication to service. Welcome to our online home! As you explore our site, you will find historical information on the association, how to become a member, any current alumni events, Red Raider gear, and how to generously donate to continue the tradition of Raiders helping Raiders. St. Francis de Sales School has long been a safe, inviting place where faith and knowledge meet, and the SFDS Alumni Association strives to keep this tradition alive and well! 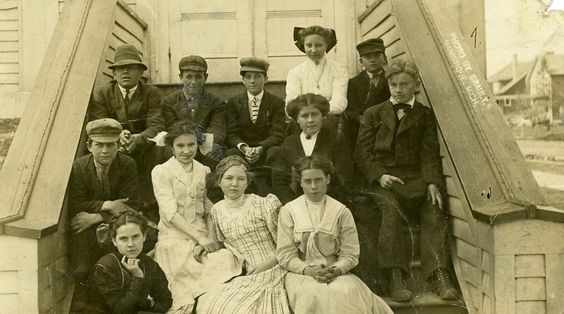 Pictured Above: One of the earliest classes at St. Francis de Sales School. The mission of the St. Francis de Sales Alumni Association is to create a lifelong and worldwide community of alumni through increased opportunities for meaningful engagement in order to increase awareness, pride, participation, and philanthropic commitment for and to St. Francis de Sales School. © 2018 St. Francis de Sales School Alumni Association. All Rights Reserved.